The British Challenge came up just short as Red Cadeaux had to settle for second once again as Fiorente claimed the Emirates Melbourne Cup at Flemington. Ed Dunlop's charge, who had to contend with a high draw, was poised on the outside of the field turning for home, but Fiorente was tracking him and the pair really started to battle with a furlong to run, with Damien Oliver launching Gai Waterhouse's charge on the outside. While Red Cadeaux responded to Gerald Mosse's every urging, Fiorente just had too much in reserve and edged in front at the line. Mount Athos ran a game race up the inside to finish third and hold off Simenon while Marco Botti's Dandino was noted finishing fast in fifth. Gai Waterhouse has been basking in the glory of her first Cup success, getting door-stepped by reporters outside the restaurant where she celebrated on Tuesday night, but she was up bright and early in the morning at her Flemington satellite stable. She suggested the Darley Australian Cup, back at Flemington in March, would be Fiorente's next target. "I thought that would be a lovely option for him, but I just want to let the dust settle," she said. "Who's to say this horse won't come back and do it again? I know it hasn't happened very often but I think he's a horse that could easily do it." Waterhouse did not rule out Royal Ascot, either. Dunlop was thrilled with Red Cadeaux's performance in finishing second for the second time. Runner-up in the race in 2011, the seven-year-old overcame a wide draw and a big weight to go down narrowly to Fiorente at Flemington. Dunlop was also quick to heap praise on jockey Gerald Mosse for the ride. The trainer said: "The jockey has probably given as good a ride as he could without winning a Melbourne Cup. I'm so proud of the horse. He's older and he's carrying more weight and he's probably run as well, if not better, than when he was second here before. "You never know, he could still come back here next year, but we will certainly be looking at Japan and Hong Kong." Luca Cumani is another to have come agonisingly close to a first British win with both Bauer and Purple Moon finishing second in 2008 and 2007 respectively. 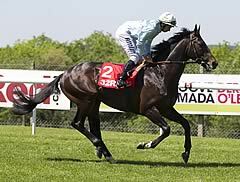 Mount Athos was fifth in the race last year and Cumani was pleased with his effort in third this time, although he admitted his draw in stall 22 had hardly helped his chance. He said: "He was in the right place and there were no excuses. he's run a great race and finished off well. "It's hard to change the draw now, but I'll certainly be back here next year if I've got the horse." Willie Mullins was similarly satisfied with fourth-placed Simenon and could target the race again next year. "There were no excuses, he was just beaten by a better horse on the day. He was there all the way round," said the Irish handler. "I've no problem coming back and maybe he might have some company." Marco Botti felt the two-mile trip might have stretched Dandino's stamina, despite his charge running on for fifth. He said: "He stayed all right but Ryan (Moore, jockey) said he did get a little tired in the last furlong. He still ran very well and we could go to Hong Kong." 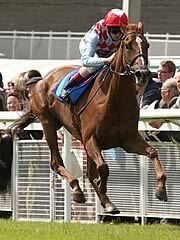 Owner Michael Owen reported that Brown Panther was struck into during the race. He tweeted: "8th out of 24 pretty respectable. Proud of him. Just hope he is OK as he has been struck into during the race." 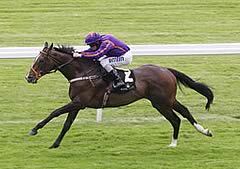 French-trained runner Verema pulled up sharply in the early stages of the race after suffering a serious injury. Melbourne Cup betting is easily the biggest betting event in Australia and among the most prestigious races for any punter in the world. The record for Melbourne Cup dividends is a huge $61,867.90, with this amount paid out in 1993 (the winner that year being Vintage Crop). 2009 proved to be another especially popular year among bettors, with no less than $95.6m laid out on TABs in Victoria and New South Wales. It is entirely possible that these records could be broken in the Melbourne Cup of 2013. Betting on the Melbourne Cup can be a tricky, often unpredictable business, with out of 151 races, just 32 favourites having won. Indeed, no favourite has won the Cup since 2005, when Makybe Diva won its third gong in a row. However, new contenders are likely to emerge between now and the great race, with changing all the time according to myriad factors. The very first Melbourne Cup was run in 1861, when in front of a mere 4000 people the illustrious Archer won in what remains the slowest time ever. Up until 1875 the race was actually run on a Thursday, before switching to the first Tuesday of November that has stuck ever since (barring a few interruptions during wartime). By 1880, 100,000 people were flocking to Flemington to soak in the atmosphere and place a bet, while it was also beginning to garner international attention. Archer must count as perhaps the Cup’s first true great, winning in both 1861 and 1862. Another legendary name of global racing appears on the Melbourne Cup role of honour: the great Phar Lap won in 1930. Other key horses in the Cup’s history include Peter Pan, winner in 1932 and 1934, Rain Lover (1968 and 1969) and of course Makybe Diva, the only horse to ever win three Melbourne Cups in a row (2003-2005). As far as trainers are concerned, one figure dominates above all others: Bart Cummings. He has trained winners no less than 12 times, way ahead of closest rivals Etienne de Maistre and Lee Freedman. As far as jockeys go, both Harry White and Bobby Lewis have won the Cup four times. Perhaps though, the biggest star of the Melbourne Cup is the course itself, a legendary 3,200-metre stretch of Victorian turf.